Watch this page for our 2019 Winners announcement! The Rozema Awards are presented in proud partnership with the Christian School Foundation. We are indebted for their assistance. 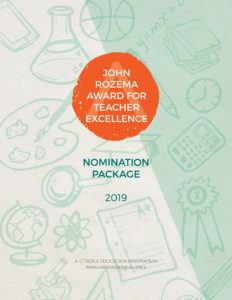 To view the shortlist and winners of the 2018 Rozema Award, click here. Who was the Brain in that Jar?